Making the decision to implement a pay per click advertising campaign is the first step towards increasing traffic, conversions and sales, but the work clearly doesn’t stop there. Ad campaigns must be constantly monitored and refined in order to maximize your ROI. With the end goal of increasing the Click through Rate (CTR), the most successful advertisers make several critical decisions. Each of these is designed to increase the impact of the campaign, and get the most bang for your buck. Ad visibility – It makes sense that the most critical decision is the text and overall placement of ads. You will need to do careful research on your keywords and even what keywords you don’t want in your campaign (negative keywords). Making the decision to invest extra advertising dollars for PPC Management when determining the bidding budget of an advertising campaign means paying for higher visibility that translates into more clicks and much less wasted cash. 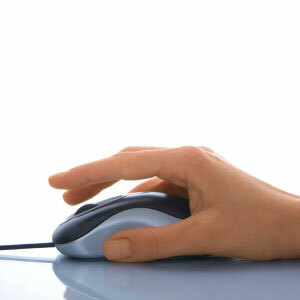 Most of the time, the more your Cost Per Click Bid is, the better your CTR will be. However, this can also be very expensive. Therefore, you need to make sure that you identify your top performing terms and big slightly higher on those terms to increase the CTR. Then keep reviewing analytics for the results. While CTR is important, conversions are even more important. This means that whatever the search term is on Google will be placed on the Ad Text itself as long as it fits the character limit allowed. If it exceeds character limits, it will be replaced by “Internet Marketing”. Of course, you would change that to whatever is relevant to your ad text. This is a good way to always make sure you have relevant Ad Text to the search query. Other than all of those, you should also pay close attention to the following to actually increase conversions and get better results. Decrease website clutter – one of the biggest mistakes made by advertisers is the belief that more is better. Cluttering a website with multiple ads, banners and flashy graphics will do little more than confuse and overwhelm visitors. Instead, an attractively designed website with only relevant information and no more than two banner ads is the way to go. Avoid causing ‘work’ for visitors and make click throughs simple to find. Remember that the ‘on-demand’ attitude of your visitors means if they cannot find what they are looking for quickly they can, and will, move on. Implement a call to action – It is often a good idea to use a clearly defined call to action even on your adtext. Examples include making a purchase, filling out a form, taking a survey or forwarding a link. Research shows that implementing a call to action will improve your click through rate. One word of warning, some pay per click programs disallow the use of call to actions, so be sure to understand any rules governing their use prior to implementing one. Careful design – With the goal of highlighting your ad, carefully design your ad to make your banner immediately draw the eye of the viewer. From ad placement to special effects and graphics, the entire website, but the banner in particular, should be designed so that the banner ad makes the first and biggest impression. This increases your click through rates for two reasons. First, it makes the advertisement easy to find and click. Second, it fills the ‘on-demand’ need typical in so many Internet surfers. Analyze data – so many of the PPC programs include software designed to provide analytical data on website viewers, where they come from and what they do. It is a mistake to ignore this information. Instead, carefully review it for clues on how to improve your CTR. For example, if a large percentage of your click throughs come from a particular banner ad, try to determine what is different about that particular ad and how you can improve it and the others on your site. If you need help improving your CTR or your overall online advertising campaign, or if you have any questions, we’re here to help! Contact us for a no-obligation consultation.